What are Nick Kyrgios’ chances at the Australian Open? Nick Kyrgios’ preparation leading into the Australian Open has been far from ideal. Photo: Brisbane International 2019. Summer – a perfect time to turn the air conditioning on full blast, head down to the local pool for a swim and spark hopes that an Aussie will win the Australian Open. Every time January rolls around and the summer of tennis swings into gear, local tennis courts become booked out and the air fills with optimism that maybe Australia’s 43-year wait for an Aussie champion at our home slam will come to an end. Australia’s hopes for a home champion rested on the shoulders of Lleyton Hewitt for many years before the nation elected Sam Stosur as the one to end the drought. She won a grand slam at the US Open, surely she can do it in her own country, right? Unfortunately, Stosur never got close. Then along came Nick Kyrgios, the brash kid who oozed talent. Surely he is the chosen one. In just his second Australian Open, the 19-year-old stormed his way through to the quarterfinals where he lost to Andy Murray. The public rallied behind the enigmatic Canberran. He was destined to keep the trophy on Australian soil – or so we thought. Fifteen grand slams have come and gone and the Canberra local hasn’t made it to a grand slam quarterfinal since that Aussie summer four years ago. Last year, after winning the Brisbane title and starting the Australian Open as the seventeenth best male tennis player in the world, Krygios reached the fourth round before losing in four close sets to third seed Grigor Dimitrov. 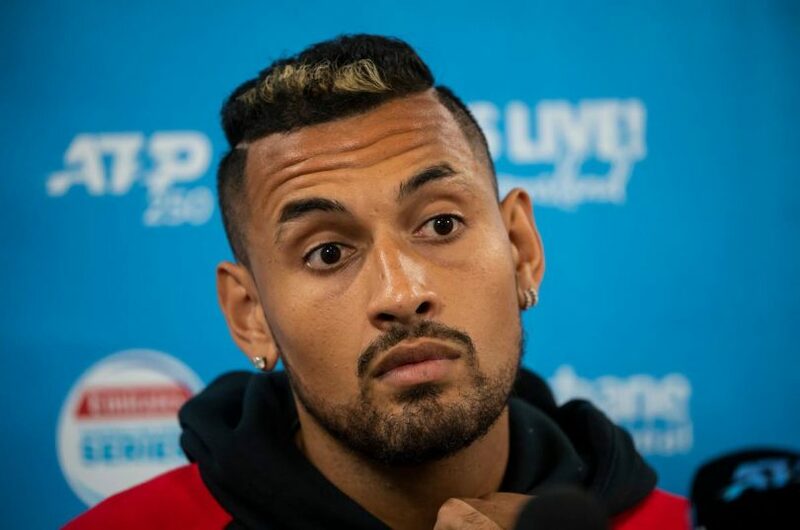 Heading into the 2019 Australian Open, Kyrgios is unseeded after slipping to 51 on the ATP rankings following a second-round defeat to Jeremy Chardy at the Brisbane International. The last time Kyrgios was ranked outside the top 50 was January four years ago. He enters Melbourne Park this time with less expectation on his shoulders. Three Aussie men now have a higher ranking than him – Alex de Minaur (29), John Millman (38) and Matt Ebden (47). The 23-year-old is adamant he is not fazed by his low ranking or the public’s expectations, backing himself as a dangerous floater in Melbourne Park. In theory, he could be drawn to face the likes of Roger Federer, Novak Djokovic or Rafael Nadal as early as the first round. Yes, Krygios has shown that on any given day, he can defeat any of the “Big Four” – but has he got enough in his locker to string seven good matches together? He might be one of the most talented and gifted players to grace the court, as echoed by tennis legends around the world, but if Krygios’ recent performances are anything to go by, it looks like Australia’s hopes for a male Grand Slam champion will have to wait another year. Maybe it’s time we look to a new contender to make our Australian Open dreams a reality – like Ash Barty? Congratulations on not saying in your headline “Canberra’s Nick Kyrgios…….”. He has become a big cringe thing for me and a lot of other Canberrans. There are plenty of other young Aussies with respect for the game and the spectators who are on the move so let’s hear more about them. The chances of Nick doing something really dumb during the tournament are about 95%. The level of interest in anything he does – about 0.